Merry Christmas everybody! From my family to yours, I wish you a wonderful day for tomorrow spent with the people who matter most to you. Whether you celebrate Christmas traditionally, casually or not all, I hope you use the coming days to relax, reflect and have the fun you deserve. P.S. I figure it’s too late for Christmas budgeting tips, so here instead is a collection of festive fluff from the internet. Forgot to send someone a Chrissie card? It’s not too late— Hallmark has a load of free e-cards. Have you ever met a creepy Santa and did your mum make you sit on his knee? You can share the experience with the world (or laugh at other people’s) at CreepySantaPhotos.com. Did shepherds watch their flocks or wash their socks at night? Christmas-corner.com has a heap of printable resources including games, gift tags and Christmas carol song sheets. Need to channel the kids’ energy? 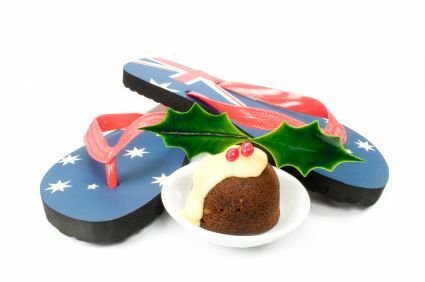 Kidspot.com.au has a special section committed to kid-friendly Christmas recipes and activities.